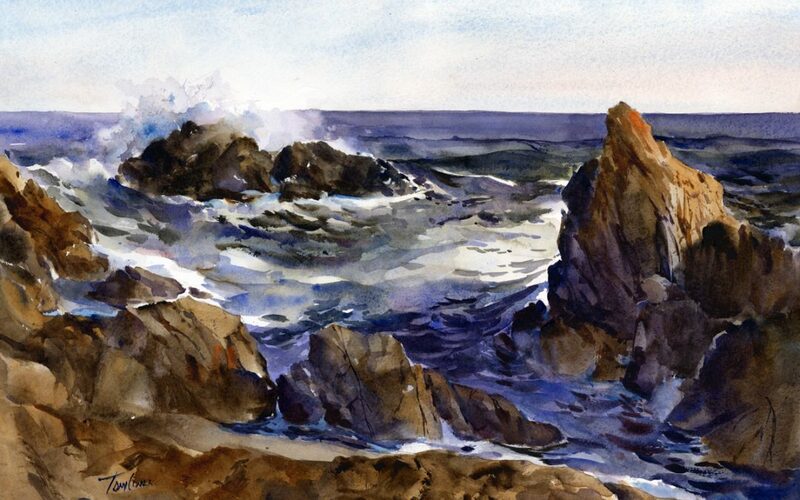 “Surf At Bass Rocks ” – 15″ x 22″, matted to 20″ x 28″ for easy, low-cost framing. Another painting done during Cape Ann Plein Air 2017. I like to think this one speaks for itself. Bass Rocks is an especially inspiring area of the the Gloucester coastline. The combination of a rugged, rock strewn beach and active surf is an irresistible subject. It’s a larger work that’ll need a large space on your wall.